Most of us are familiar with the shrimp version, but we’ve swapped out the seafood and served it on a stick with these grilled Bang Bang Chicken Kabobs. 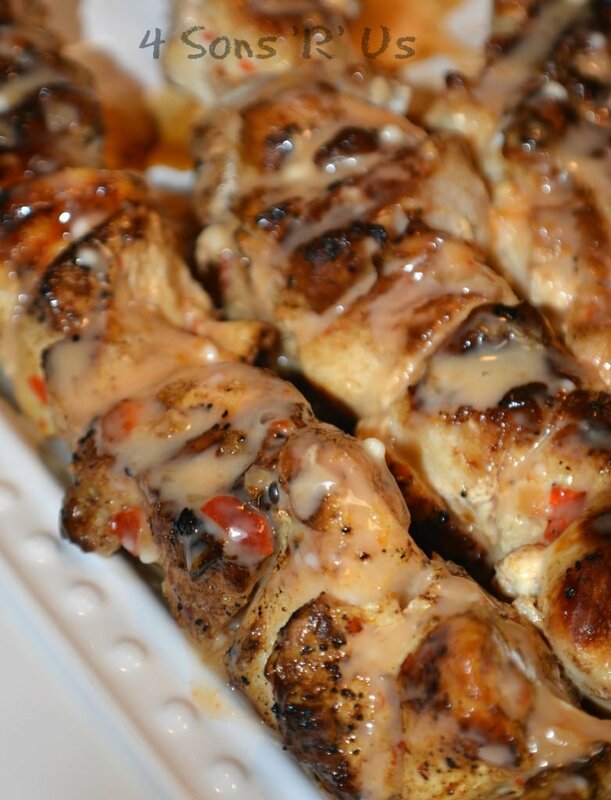 Freshly grilled chunky chicken skewers are slathered in a creamy, sweet & spicy sauce. It’ll leave you lickin’ fingers, plates, and definitely beggin’ for more. Bonefish Grill makes the world’s best crispy fried shrimp, tossed in an iconic creamy sauce that features both heat & sweet. It’s one of our favorite treats, both to commemorate special occasions and even just when we need some Mommy & Daddy time. A basket of those bad boys shared over a drink, and we’re recharged and reconnected from date night. When we can’t get out, no worries– the sauce is easy enough to recreate at home. And then there was that one day that I made a double batch of sauce, but after digging through our gargantuan chest freezer discovered that there wasn’t actually a second bag of shrimp lurking at the bottom. I made our regular batch, but what to do with all that extra sauce? Also, we had company coming and one batch wasn’t going to be enough to feed us all. Then I remembered the chicken breasts I had thawing the the refrigerator, and my eyes slowly slid back to that extra bowl of bang bang sauce. I’m always on the lookout for anything new to do with chicken– so mixing the two was one idea I had to try. Like yesterday. I threaded thick chunks of marinaded chicken onto skewers and grilled them until they were cooked through with a nice char on the outside and moist and juicy inside. We served them fresh off the grill, dripping with extra sweet and spicy bang bang sauce. A fresh garden salad was the perfect way to round it out and turn it into a filling Summer meal. 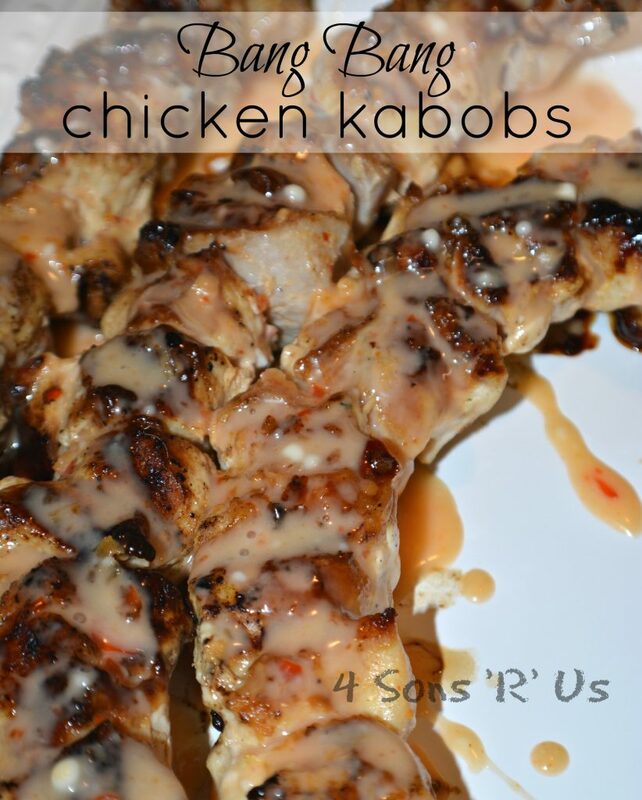 Skewers full of juicy chunks of grilled marinaded chicken are slathered in a yummy sweet & spicy sauce. In a small bowl whisk together all the ingredients for the bang bang sauce until evenly incorporated and smooth. Put the chopped chick into a large zip-locking bag or a tupperware dish. Add in half of the bang bang sauce, and seal the bag or dish. Give everything a good swish around to coat and then refrigerate the marinaded chicken for at least 15 minutes. Preheat the grill and lightly brush the hot grill with olive oil. Thread the chicken pieces onto your skewers (if using wooden ones make sure you pre-soaked them to prevent burning). Transfer the chicken to the hot grill and cook about 4-5 minutes before flipping the skewers and cooking an additional 4-5 minutes. When the chicken is cooked through and the outside has begun to char, remove it from the grill and transfer it to a serving platter. 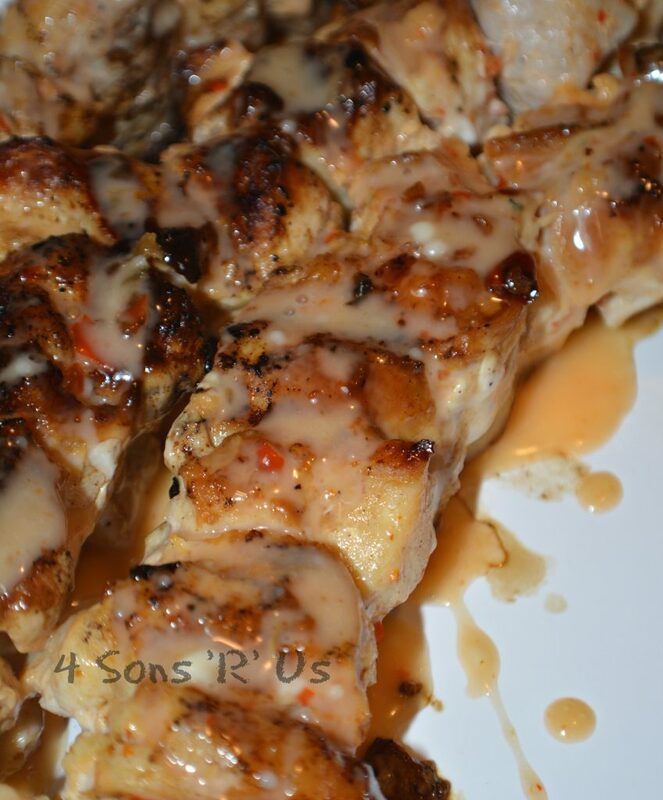 Pour the remaining sauce over the chicken skewers and serve immediately. This looks yummy and will be tried out this weekend! Fantastic kebab, you can actually see how loaded with flavor they are. Thank you so much for bringing this to Fiesta Friday. Thanks, Suzanne. You always eat with your eyes first, right? ?